During the year, many people attend several different weddings that often all have similar decor, styles, and food, making it important to throw an event that is both memorable and unique. By incorporating different elements into the reception, it can make for an unforgettable experience that is fun and truly different than all the rest and make your reception memorable. Allow guests to get playful in front of the camera with an old-fashioned photo booth. 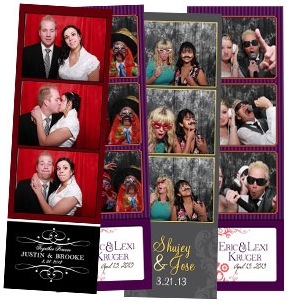 Photo booth rentals are becoming an increasingly popular party favor. Guests can enjoy playing with props that are provided while taking photos together for a printed souvenir that can be taken home or placed in a guestbook for the couple. Different backdrops can also be used in the photo booth, as well as monogrammed designs that are printed on each photo strip to mark the special event. Gelato and ice cream trucks are a great way to provide dessert at a reception for an informal and unique food item that is fun. Guests can enjoy requesting different flavors, which will work to complement the cupcakes or cake slices and can be hand-picked by the bride and groom beforehand. The ice cream truck will bring along the spoons, bowls, or cones for a great way to make a formal event feel less stuffy. When hosting an outdoor reception during the summer, several games can be provided to allow guests to mingle and have a bit of fun. Horse shoes, large chess board games, and checkers have a high amount of aesthetic appeal, while preventing family and friends from getting bored with small talk. A confetti bar is a fun way to allow people to mix their own confetti with different shades and sizes available to throw on the dance floor, or when the bride and groom make their big exit. Large glass jars and bowls are great party rentals that can be used to hold the different amounts of confetti for an attractive display that will be exciting to browse. To allow guests to interact and have a bit of fun, disposable cameras can be left on each table with a sign that asks guests to photograph themselves and the party throughout the evening. The bride and groom can then have the cameras collected at the end of the night for dozens of candid photos that will make for great memories. And if you really want your wedding to stand out from the crowd, consider sending custom MUSICAL wedding invitations – your guest will be wowed and know that they are going to the BEST wedding of the season! Every bride wants to look her best on her wedding day, but after working out and dieting for months, you might still have a few extra pounds that you want to eliminate. Eating healthy, choosing replacement meals and increasing your cardio can all help you get rid of those last few pounds. So here are some tips for that last-minute slim down! Fiber has a number of benefits on the human body. It makes your stomach feel full, and fiber can help push toxins and waste out of your body. Eat foods high in fiber in the days leading up to your wedding, or take fiber supplements. Water naturally removes toxins and impurities from the body, and water can also hydrate your skin and give you a healthy glow. Drinking water can also help fill your stomach and make you feel fuller as you eat less. Use meal replacement shakes (MRS) in place of at least one meal every day. Meal replacement shakes have all the vitamins and nutrients that your body needs but fewer calories than a full meal. If you need to lose more weight, you can even use shakes in place of two meals every day. If you want to lose weight before your wedding day, eliminate processed sugars from your diet. Processed sugars add extra calories to your diet and can lead to weight gain. Replace sugary salad dressings and condiments with healthier sugar-free options. Olive oil has less fat and calories than butter or other oils, and olive oil can give your food a great flavor. Before you sit down for each meal, take a single teaspoon of olive oil by mouth. Olive oil lubricates your system and helps flush toxins out, but it also makes your stomach feel full. You’ll find that you eat less at each meal when you eat olive oil beforehand. Cardio exercises boost your heart rate, increase your pulse and help you lose weight faster than other types of exercises. If you can’t afford a gym membership, invest in a few workout DVDs that you can do at home or take a long run around your neighborhood. Cardio routines help you burn away fat and build muscle, and you’ll see results quickly. Whether you’re days away from your wedding, or your wedding is a few months in the future, you have time to get in shape. Changing your diet and adding cardio exercises to your daily routine can help you lose weight quickly. Planning your wedding is supposed to be a joyous and happy event, yet brides often end up feeling stressed over blown budgets and expensive options. Implementing these tips may relieve some of that pressure and keep your wedding budget-friendly. Don’t be intimidated by DIY projects; some of these are easier than you think! 1. Make Your Own Cake It sounds like a daunting proposition, but instead of an elaborate multi-tiered cake, consider making a small, beautifully-decorated display cake as your showpiece and cupcakes for guests to eat. Check out www.Fondarific.com’s selection of delicious fondants to help make your cake taste just as good as it looks. If you’re not confident in your baking skills, enlist a friend or family member that has some experience in baking and get the job done that way. You’ll save hundreds of dollars on what could have been a very expensive cake, and you can put that extra money towards a honeymoon! 2. Be Your Own Florist Choosing locally-grown seasonal flowers can save a bundle for your wedding day. Making your arrangements yourself can save even more. Keep it simple by choosing a few large blossoms and one or two pieces of filler for your bouquets. Try pairing peonies with Queen Anne’s Lace for a romantic look, or buy roses and baby’s breath to make a classic arrangement. Whatever you choose, be prepared to do your arranging just a day or two before the wedding, and make sure to have plenty of cold space available to store flowers. 3. DIY Decorations Buying pre-made table runners, displays and wall hangings will quickly break your budget. Instead, look in wedding magazines for the style of decorations you want, and then recreate it at home. Popular online craft sites will contain a wealth of tutorials and DIY instructions for homemade wedding decorations. You can easily make hanging lanterns, votives or table lanterns from mason jars, wire and tea lights. Buying your supplies in bulk will save lots of money as well, so make sure to count up whatever supplies you’ll need all at once and buy them together to get the best deal. You can still get quality decorations for a pretty decent price, so don’t skimp on the quality for fear of ruining your budget. 4. Schedule Around Popular Times A June wedding on a Saturday evening will always be more expensive than getting married on a Friday night in October. If budget is a big concern and your timeline is flexible, consider scheduling around the popular wedding times. Consider a morning ceremony, or a Friday night reception. Have an autumn wedding instead of a spring or summer one. Going off-season can help put a little wiggle room back into your budget. You can plan a great wedding for any season as if you get creative. If you follow these tips, they can help take the stress out of budgeting for your wedding. Remember that having the wedding of your dreams doesn’t have to cost a fortune, as long as you get creative and enlist the help of others. And the money you save on these things can allow you to splurge on other things like the perfect gown or over-the-top wedding invitations. Make your wedding what you’ve always envisioned without emptying your wallet! Guest Blogger, Rose McKellen is a freelance writer from Austin, TX. She enjoys spending time outdoors with family and friends, as well as exploring the music scene in her hometown. Buying a wedding cake from a bakery leaves you open for dozens of potential problems. The cake might not look the way you dreamed, the baker might not finish the cake in time and you might wind up with something that tastes bland or dry. Creating your own wedding cake is easier than you might think, and it gives you complete control over the taste and final design. A good cake starts with a good foundation, and the recipe that you choose serves as that foundation. An extremely moist cake can fall apart when you put it together, while a dry cake tastes bland. If you don’t want to experiment with different recipes and ingredients, use a boxed cake mix. A mix that comes with pudding will be lighter and moister than a typical boxed mix. Lightly butter and spray your cake pans, and add a piece of parchment paper to the bottom to prevent sticking. While your cakes bake, work on your frosting. Buttercream frosting has the perfect balance of sweetness, and you can make it yourself from a few ingredients. After you remove your baked cakes from the oven, place the pans on a cooling rack and let cool for several hours. Removing the cakes from the pans is easier when you let everything cool. The main reason why wedding cakes taste so moist and light is due to the filling inside. A peanut butter filling pairs nicely with a chocolate cake, while lemon tastes great with vanilla cake. After your cakes cool, place a serrated knife on one edge of the cake. Using a gentle sawing motion, move the knife back and forth until you cut the cake in half. Repeat this step with each layer of your cake. Add a dollop of filling to the center of the cake, and push the filling to the edges with a large spatula before placing the second layer carefully on top. You can either make your own filling, or you can buy jam, lemon curd or another filling. For a stacked wedding cake, you need wood dowels cut to a height slightly taller than each layer. Apply a thin layer of buttercream to the top and sides of the first cake layer, smoothing out the frosting with an offset spatula. Insert the wood dowels in the top, tapping down on the top until the dowels go through to the bottom. Repeat the process with each layer you add to the cake. There are dozens of different ways that you can decorate your wedding cake. Use a piping bag with different sized tips to create pearls, flowers and other designs on the sides and top of the cake. You might also try gourmet buttercream fondant, which comes in various colors and hides any imperfections in the frosting. Edible decorations, including flowers and pearls are other fund additions. Making your own wedding cake helps you save money on your wedding costs, and you can save even more when you borrow pans, racks and decorating supplies from family and friends. Working several days before the event gives you plenty of time to fix any problems or mistakes you make, letting you present the perfect cake. 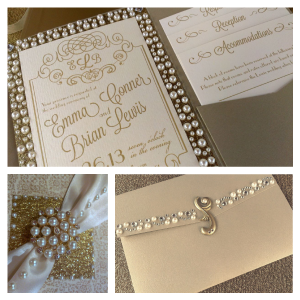 The money you save can go into other things like custom wedding invitations or a more expensive wedding gown! Casey Haslem is a 25 year old writer. Her hobbies are reading, painting and pretending she knows how to write a book. She loves meeting people and making new friends. Writing opens up a whole world of new ideas and possibilities for her. Most of the time the focus is on accessorizing the bride not the groom. It’s just as important that groom is elegantly accessorized to complement the bride’s look and wedding theme. Here are some ways a groom can accessorize to take his look to the next level. A simple styled belt with a bold buckle will add a subtle touch of elegance to your suit or tuxedo. Choose a belt buckle design that’s not too busy and one that complements the bride’s accessories. Don’t accessorize your suit with the standard one flower boutonniere. Have one designed with a flower accented with rhinestones. This style of boutonniere will add elegance to your look. You can also have a boutonniere designed according to your interests. A unique boutonniere will definitely make you stand out from the rest on your special day. A vest will give your outfit a more formal look. You will want to choose a vest pattern that coordinates with the wedding colours and theme. Select a unique vest style and one that complements the wedding party, especially the bride. Vests come backless or with a full back. A vest with a full back will give your suit or tuxedo a more elegant look. Custom cufflinks are a great way to add a touch of personality to your outfit. 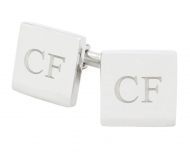 Whether you choose a traditional styled cufflink with a script letter or custom-made cufflinks from Cufflink Factory it can be that one wow accessory that will complete your look. And they also make a great gift for your groomsmen. A rhinestone embellished tie pin will add just the right amount of bling to make you stand out on your special day. Tie pins come in all shapes and sizes. Select a design that coordinates with your wedding style and colours. Another option would be to accessorize your tie with a variety of scatter pins, which look best on an understated tie. A dressy watch is an accessory every groom should wear on his special day. It will set the tone of your look and add class to your outfit. A beautiful gold designer watch or one embellished with diamonds are luxurious timepiece choices that will always be in style. Are you surprised grooms have so many accessory choices available to them? From cufflinks to vests, the options are endless. Elegant accessories are definitely a must-have for completing a groom’s wedding outfit and allover look. Although every wedding ceremony is different and unique, certain wedding blunders seem to crop up time and time again. Planning upcoming nuptials can be a stressful time, even for the most organised of couples! While there are no guarantees that the big day will run smoothly from start to finish, knowing about common wedding mistakes can certainly help to prepare you and your stress levels for any unwanted scenarios. While you may be in a state of bride heaven now, normality will start to rear its head once more so keep your costs in check. Like any other big event in your life, from your first car to your first child, it is very easy to become swayed by savvy salespeople into buying unnecessary expensive items. You may find that going down the cost-cutting DIY route can also add some personality and character to the event. The best solution is to have a budget from the beginning and stick to it! Many husbands-to-be are more than willing to hand over wedding duties to the women, however don’t assume that your partner is one of them. Sharing the load equally can allow you to spend time with each other and bond over the experience. Your partner may have his own input regarding cars, food, venues and much more. Allow him to speak up before you rush ahead with everything. Although hen and stag dos have become part and parcel of the wedding industry, many couples make the common mistake of partying too soon before the ceremony. While it can be quite therapeutic to let your hair down with friends before such a big moment in your life, avoid the hangover blues during the ceremony by being sensible. Wedding bands and DJs have become a popular wedding trend to inject some fun into the night. When planning the music for a wedding, many couples forget to take noise levels into account. By not following the town’s sound ordinance laws, a noisy after party may be forced to end unexpectedly. Talk to the venue and council beforehand to find out about noise level restrictions. It may seem like an obvious thing to do but after a happy pair gets engaged, some like to focus on the more exciting aspects of planning a wedding such as venues, cakes and dresses. Sending wedding invitations isn’t the most thrilling of tasks – especially when you have 200 to do – but it is best to get them done early so your loved ones can put the date in their diaries. That being said another big mistake it ordering them too late. 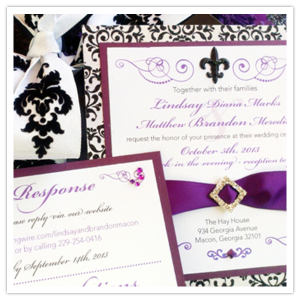 Wedding Invitations should be ordered right after you book your venue as custom wedding invitations can take 3-6 months to make! While it may be a good idea to send invites early, buying the dress to early can lead to problems in the size and regrets department. 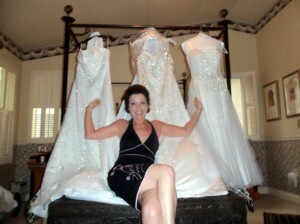 You may decide that you want to lose a little weight before the wedding, after you have bought the all important dress. Therefore, as you are busy exercising and dieting, your bigger dress may be lingering in your wardrobe until the big day. Avoid any embarrassment or scratchy safety pins by scheduling a few dress fittings in the run up to the big day. Every woman dreams of wearing the perfect gown on their wedding day. These dresses should enhance the overall look if the bride and will help her transform in being the most beautiful woman of this day. But what if the bride has gained some weight and the wedding day is fast approaching? Is there any other way to find a wedding dress that will compliment the bride’s figure and maintain here magnificence at the day of her wedding? If dieting is not an option in dealing with this issue, then there are still some ways to get the right dress. All you need to do is to learn where to find wedding dresses for plus size women. 1. Retail Chains – More and more retail chain stores responded to the need of every woman who are looking for affordable wedding dresses as most of these stores are offering different types of wedding dresses in a variety of sizes. You can enjoy from the many cuts and styles and these dresses can go from the smallest size up to size 20! Just visit one of the many retail stores nearest you and you’ll be able to find plus size wedding dresses at any time of the day. Take a look at some of these pics of wedding dresses sold at retail stores. 2. Internet Search – If you don’t have time to look outside, then why not use your own resources and find plus size wedding dresses over the internet. A lot of online wedding sites and certain selling sites sell wedding dresses for big sized women and even big size bridesmaid dresses. Just make sure that they offer the customization option so that you may be able to adjust your dress to fit accordingly to your body. Check out some of these big size dresses you can purchase over the net. 3. Used Clothing Stores – When looking for plus size wedding dresses, sometimes you have to go beyond bridal shops and boutiques. You may even have to do the unconventional way of shopping and that is by visiting certain used clothing stores. Used clothing has slowly risen in the mainstream market and it’s now being considered as one of the most practicable areas for buying wedding dresses. Used clothing comes in a wide range of cut and sizes and they also cater to wedding dresses for big sized women. Just make sure to dry clean the dress before wearing it because you’ll never know who wore this dress and how it handled from the warehouse to the store. So to prevent any hygienic issues, clean the wedding dress to make it look fresh before wearing it on you special day. Take a look at some of these pictures of plus size bridal gowns you can get at a used clothing store. Be reasonable and smart whenever choosing a dress for your day of matrimony. If you gain a little weight, it doesn’t mean that you also have to spend more just to flaunt your way into the aisle. Just follow the tips on where to find wedding dresses for plus size women and surely you’ll be able to have the right dress that will go well with your body figure. Joan Swinson is a 31 year old editor for The Green Guide. She is also works as a part-time clothing designer and has passion in collecting shoes of all styles. 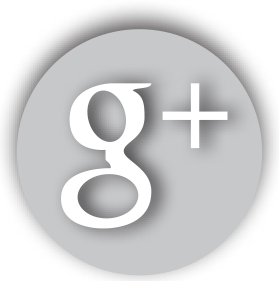 Joan is fond making blog posts as she wants to express her opinion on different topics of interest and encourage others to share their own opinions as well. Unlike women, most men don’t dream about what they’re going to wear on their wedding day. But that doesn’t mean it’s not important. After all, he’s half the duo and he should look the part. So here are seven suit tips for the groom! As the groom, you need to think you look good. That could mean talking your bride out of putting you in a color you hate, be it pink, watermelon green, baby blue, sunshine yellow or pumpkin orange. Instead, select a neutral color that you feel comfortable in that matches the wedding colors. Remember, you’ll be looking back on the pictures for decades. By investing in a suit, you’re purchasing something you can wear in the future for friends’ weddings and other occasions. Rented suits and tuxes are generic and made for everyone. Find something to make yours. It’s often less expensive to buy, too. You want to look handsome, not like someone who doesn’t know how to dress himself. For instance, if you’re short, consider a single-breasted jacket and if you’re on the chubby side, select a jacket that buttons low so you look longer and more slender. The salesperson can make suggestions about how the suit can enhance your appearance. If you’re getting married in July, forget wool and consider a vest jacket instead of a suit jacket. Almost nothing would be worse than the groom passing out from heat exhaustion halfway through the ceremony. Similarly, if you sweat easily, have a backup shirt you can change into, just in case. In winter, dress warmly. Invest in a tailor who can make your suit fit perfectly. You’ll feel better, you’ll look better and you won’t need to worry about the suit being too tight or too loose. Suit and tuxedo stores often have tailors on staff and some even tailor for free when you purchase the suit. Tie in aspects of your personality. Huge sports fan? Wear socks with your team’s logo. Love sneakers? Wear ‘em. Love sandals? Find a nice pair. Keep it tasteful, but find something that is clearly your style. If you’re getting married in a fancy country club, you can’t wear shorts. But if you’re getting married on a beach you might be able to wear nice dark jeans and a suit jacket or something that’s less-formal but still looks good. Depending on the feel of your wedding, you may even find items from AKA Menswear to be useful for your wedding. Guest poster Kandace Heller is a freelance writer from Orlando, Florida. Kandace enjoys reading, writing, and going to the beach. Each wedding is truly unique and not only for every couple, but for the wedding guests as well. 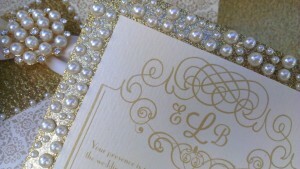 But, one of the best ways to make your wedding guests feel that your wedding is, indeed, extraordinary is to start everything with sending them invitations that are unique and very creative. 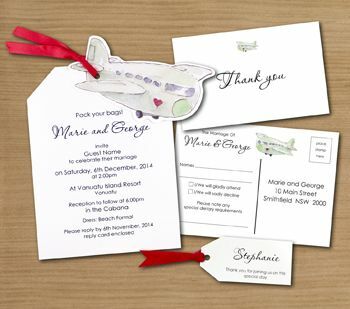 If you are inviting your wedding guests to travel with you to your wedding venue, then you should consider printing your invitations on a luggage tag. Just remember that while luggage tags are small, you’re going to have to be creative to fit all of the details in. Post cards as wedding invitations may prove to be very handy for each wedding guest. Include some pre-nuptial photos of the couple, and the details of the wedding must be printed right at the front side of the post card. To add some variety, make sure that each post card has a different photos of the couple. Hire someone with a good voice, and give them the details of the wedding that will serve as the lyrics. From there, ask them to sing everything to the tune of your theme song. Just make sure that everything will be recorded clearly. To cut expenses, it would also be wise that the groom or the bride or both of them sing out the song. This adds more excitement to your wedding guests. Hand this audio CD together with the printed version of the lyrics. For the bride that really wants her wedding to be memorable and celebrity inspired, consider working with a professional custom couture wedding invitation company. 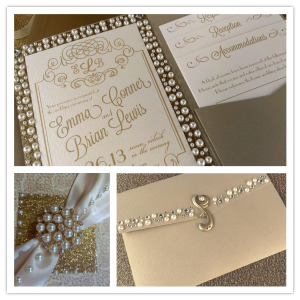 Imagine a guest opening a gorgeous box and your song serenading them as they admire the beautiful invitation embellished with your wedding theme. Music Box Invites can even work with artists to create a painting or illustration exclusively for you that is used on the invitation. To understand how this works, check out their videos. Insert the details of your wedding inside a clear bottle together with some colorful seashells and sand. Make sure to use a cork or cap that tightly seals the bottle to prevent the sand from spilling. Wrap an attractive ribbon around the neck of the bottle according to your wedding motif and theme. If movie making is part of your favorite past time activities then making a movie out of your wedding invitation would surely make it all extra special not only for your partner but for your wedding guests as well. The musical score of your movie must include love songs that will capture the heart of every guest and make it hard for them to refuse such invitation. This mini-movie must also include some clips of the couples’ photos. A story line telling the guests just how the couples met each other would also be great. Wedding invitations are just one of the many aspects of the wedding preparations. Whenever you plan to tie the knot, it is always best to set aside not only money, but enough time as well to prepare everything. This way, everybody can have the chance to think and plan about the best and most appropriate things that will contribute towards a memorable and extraordinary wedding. Guest Blogger, Jessica works for How Much Is It? 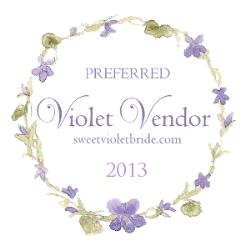 — Here, you can find prices on weddings, car repairs, pets and so much more. With more than 3,000 guides, you’re bound to find the price on just about anything. Combo Stag Parties ~ The New Rage! Participation in a wedding party can be a huge responsibility. Other than the obvious bride and groom, there is no person with more duties than the maid of honor! The best man is up there too, as both help to relieve the organizational stress that is part of a wedding. Planning and implementing the matrimonial send-off, the bachelor and bachelorette party is one of their key responsibilities. Where do you go? How many days? Who do we invite? How do we collect payment for the trip? Using a professional service to help plan and implement the party will eliminate the stress and hard work associated with this type of event, thus freeing time for the more important duties of the maid of honor and best man. The professionals are seeing the hottest buzz lately has been the “combo party”. What exactly is a combo party? It is a combined bachelor and bachelorette party to the same destination at the same time. The larger group size helps to reduce the overall cost per person and simplifies the planning and implementation of the trip. As always, it is custom tailored to fit the needs of the group. Activities can be shared or separate, as are the accommodations. The beautiful part about it is that since the company custom builds the package some activities can be shared and some can be private. It is all up to you. From the young soon to be wed to older second marriage couples, combo parties share wide appeal. In this day and age with many couples cohabiting before marriage the attraction of a quick weekend get away together with a group of friends is intoxicating! Today’s less traditional values have spawned new ideas in the bachelor and bachelorette marketplace. Short inexpensive weekend party trips to celebrate the matrimonial send off are all the rage. A Friday evening on a Bourbon Street balcony party with open bar for both bachelor and bachelorette groups together. A Saturday evening bachelorette or bachelor party pub crawl with optional visits to gentleman’s clubs or ladies clubs in the French Quarter. Perhaps later in the evening the group reconvenes at one of the many jazz clubs located just off of Bourbon Street. The food options are limitless with separate dining options or combined group dining. If your group likes beer they can organize an afternoon party bus for visits to two New Orleans area brewers. New Orleans is just one of the many destinations a professional stag party planner can offer. East Coast destinations include Boston, Savannah, Jacksonville and Tampa. West Coast destinations include Portland and Seattle. They can even assemble a five night combo trip to Amsterdam, Bruges or Munich or custom build a trip for your group or you can join a pre-built package.